Ingot Silver 2017 Ford Fusion Hybrid SE FWD eCVT I4 Hybrid I4 Hybrid. 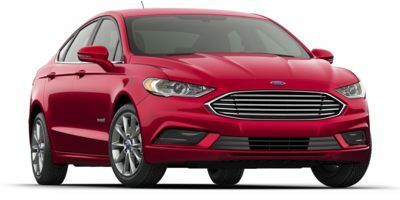 Option Package: Equipment Group 601a / -inc: Fusion Se Hybrid Appearance Package, Leather-wrapped Steering Wheel, Halogen Fog Lamps, Bright Chrome Trim W/black Bezel, Rear Spoiler, Wheels: 18" Premium Painted Dark Stainless, Tires: 18"
Wheels: Wheels: 18" Machine-faced Alum. W/painted Pockets / -inc: Tires: 18"